When it comes to visiting some of the most beautiful cultural centers in the world, making sure you have a full experience is only partially about hitting major cities and well-known points of interest. True travelers will want to make sure they experience some of the smaller, more authentic locations as well the peaceful villages and towns that give the area at large its heartbeat. If you’re planning on visiting Malaysia, then Sibu should definitely be one of the stops on your list. In fact, if you’re already planning on traveling to Miri or Kuching, then it’s highly likely you may get to experience Sibu as a stopover destination. 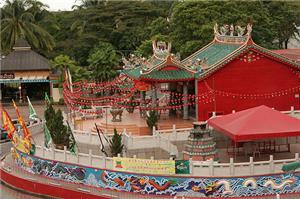 The major claim to fame of the town of Sibu is the annual Borneo Cultural Festival. The festival itself is held every July and was originally established to celebrate and showcase the diverse ethnic make-up of the region Chinese, Malay, and Dayak so it’s a must-see for those hoping to get a real taste of the local culture. Sibu is also home to the gorgeous Tua Pek Kong Temple and a bustling port area where you and your travel companions can experience a real local Malaysian produce market in person. 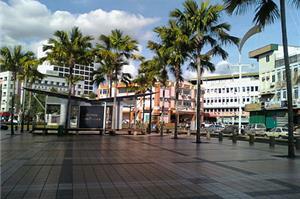 When it comes to reaching Malaysian vacation destinations like Sibu, you quite simply can’t beat local bus travel. Bus travel to Sibu is first of all incredibly convenient because of the reach of the local public transportation system. It’s also incredibly inexpensive, so you can rest easy knowing that you’ve got plenty of spending money left over for souvenirs and delectable local meals. Bus travel in Sibu is also one of the most environmentally sound choices you can make when it comes to getting around, so it’s the perfect choice for eco-conscious travelers as well. Look into your options and purchase your Malaysian bus ticket today! For more information about Bus to Sibu, check out details from us today!